We are a different kind of veterinary clinic. We blend our medical expertise with advanced behavioral skills, and this makes a big difference for you and your pet. All of our staff, doctors, technicians, assistants, receptionists, and practice manager, use a behavioral approach with everything from helping your dog bravely step on our lobby scale, to coping with the noises and strange body positions of taking an x-ray, and everything in between. We provide in-clinic behavioral services to help you with litterbox issues, jumping on visitors, scratching furniture, mouthing/grabbing at people and clothing, and other common training challenges. We offer special behavioral appointments to help your cat or dog overcome past bad experiences with nail trims, baths and other types of handling and care, to make life easier for both you and your dog or cat. Does your dog "hate" going to the vet? Has your cat been labeled "fractious"? Maybe that's the case. Or maybe he or she is stressed and scared. A behavioral approach is often the difference between a purr and a hiss, a growl or a wag. Skeptical? We'd love to convince you that we can help your pet - put us to the test! Our staff behavioral specialist also offers comprehensive help for anxiety, aggression and more serious problems, in the clinic and via home visits. Why take a behavioral approach? Because it works! And it works more quickly than conventional full-body-restraint methods, as well as being safer for everyone. 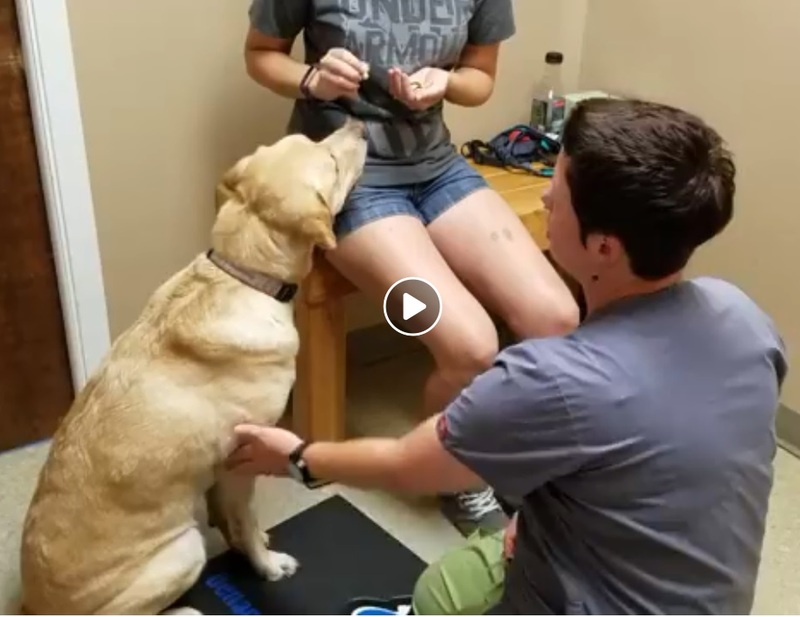 Take a look at the video in the link below (or visit our Facebook page), to see how a technique we call "touch training" helped a panicked dog learn to be fully calm for a blood draw. To learn more, please visit the dog and cat behavior and training sections on this website, email us, or call 920-648-2421.